This High-Input Impedance configuration is commonly used in front end of sensor signal conditioner and Meters. 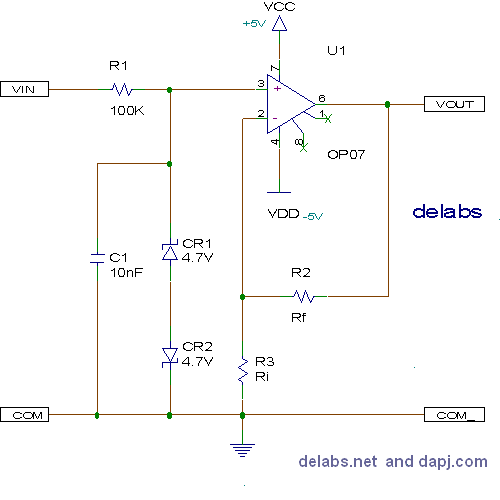 This page Includes an Interactive Tutorial with Simulated Meters and Potentiometers, demonstrating how a Non-Inverting Operational Amplifier functions. These are various web widgets i developed a decade ago. These were tutorials in Electronics and Technology. It also demonstrates usability issues in small devices and using JS-CSS-Ajax in a Innovative way to make GUI dynamic, interactive and contextual. Some of the Ideas were the first of its kind in the GUI design. delabs gitHub also has the widgets made by delabs from the iGoogle days, around 2005. These demonstrate solutions for improving usability in devices.